Advanced registration is required for this popular event! 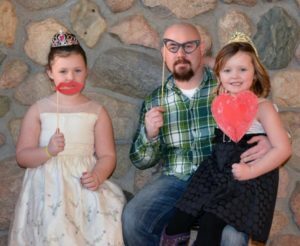 DADDY DAUGHTER DANCE-Have a fun evening with the your daughter, granddaughter, or niece. Dress up in your best for dancing, cookies and punch, crafts, and get your photo taken with the special little girl in your life. Don’t miss the nail painting station as well! Cost is $7 per person and must be paid in advance. Doors open at 6:00pm. 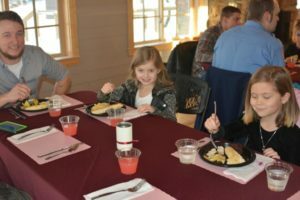 DADDY DAUGHTER DANCE DINNER- Make a night of it and enjoy dinner before the dance at Camp featuring a create your own pasta bar, dessert, and beverages. Dinner $14.95 per adult and $9.95 per child. Advanced registration is required and included as an option on the dance registration.